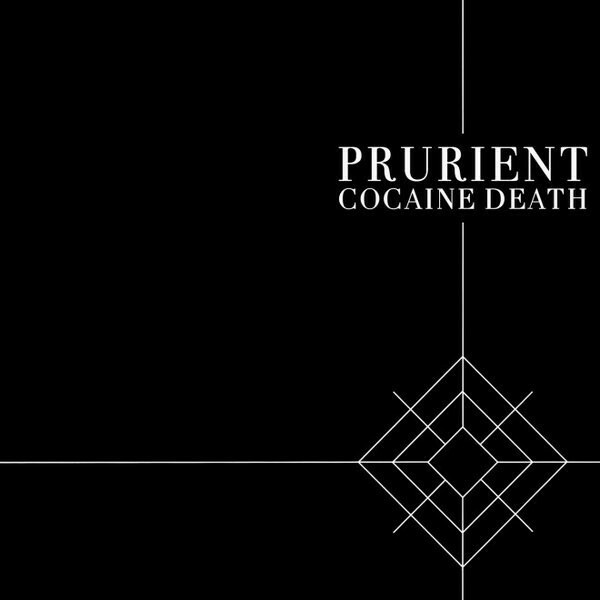 *One of Prurient's most sought-after albums now issued on vinyl for the first time, remastered and cut by Matt Colton, housed in a hot-foil printed sleeve* At long last Prurient presents his incredible 'Cocaine Death' pressed on vinyl for the first time. Collecting three C10 tapes individually issued in 2007 - 'Cocaine Death', 'Caribbean Overdose' and 'Tylenol Murders' - released on CD in 2008, it serves to highlight some of the most viscerally affective, evocative material in Dominick Fernow's arsenal. The opening "Pretext (Bahamian Burial)" sets the scene well and avoids easy classification: buried between layers of distortion and noise you discover an exposed, beautiful core that belies the sheer brutality of its exterior. There are direct parallels with the submerged aesthetic that has defined My Bloody Valentine, but the palette here is much more unforgiving. The infernal title track and the shocking anguish of 'Dog Of Addiction' give way to the majestic synths and obliterated vocals in 'Lay By Son' thru to the contrasting caustic intensity and bittersweet melancholy of 'Eve Of Adam' from the 'Tylenol Murders' tape, before the closing 'Postcript' heads out into feral, fragile ambience, with deep, padded basslines presaging Fernow's eventual interest in more direct forms of electronic music. As far as we're concerned it's one of thee most essential, compelling noise-related records we've heard - a real treat to finally have it on vinyl.